The Ashaway Zymax 62 Fire is a multifilament badminton string providing great levels of repulsion power, control and tension stability. This durable string with a gauge of 22 (0.62mm) is best suited to professional and advanced amateur players. Featuring ZyWeave technology and revolutionary BETA fibres, the string offers a combination of strength, toughness, elasticity and dynamic stiffness. It ensures consistent, reliable performance and comes in a 200m (660ft) reel. 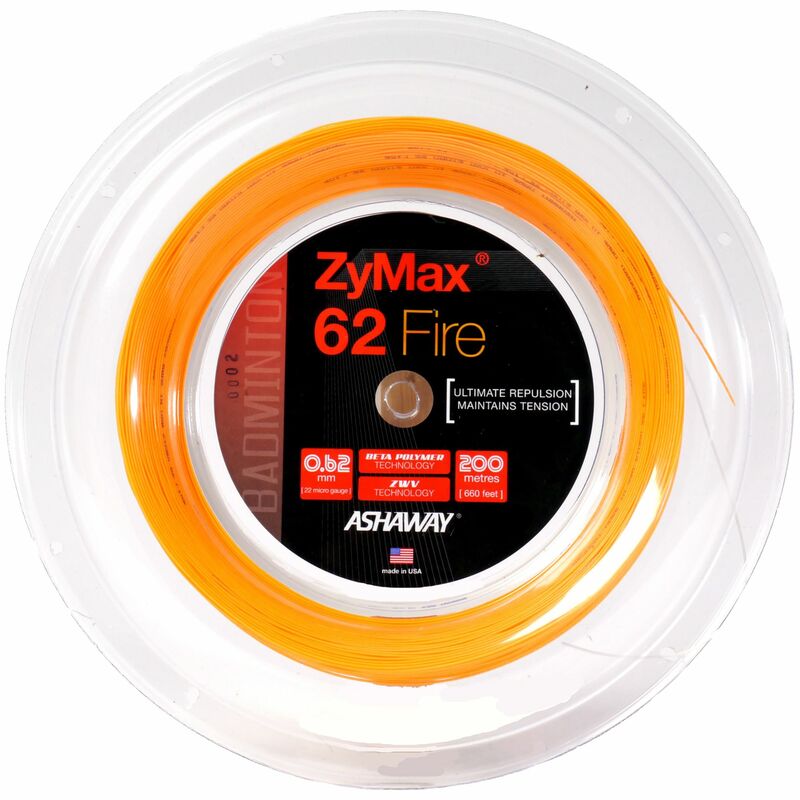 for submitting product information about Ashaway Zymax 62 Fire Badminton String - 200m Reel We aim to answer all questions within 2-3 days. 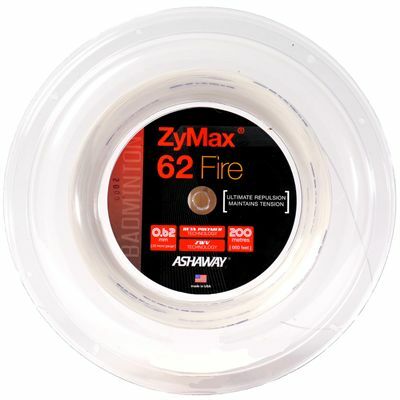 for submitting product information about Ashaway Zymax 62 Fire Badminton String - 200m Reel. We aim to answer all questions within 2-3 days. If you provided your name and email address, we will email you as soon as the answer is published. for submitting product review about Ashaway Zymax 62 Fire Badminton String - 200m Reel.